Useful For : those in Ayurveda, Chemicals and cloths business. Those who require a disease free body. This Rudraksha is related to Eighteen types of Vanaspati (herbs) in the Body. The person who wears this Rudraksha after proper Sidhhi ( method of purification & charging with Mantra) will never get any disease in the life time and get all kinds of happiness and comforts in his life. This Rudraksha can be worn on Monday or Friday. This Rudraksha have 18 Eighteen powers in it which protects the wearer from all kinds of evils and problems. It removes the laziness and excessive sleep from the wearer of this Rudraksha. 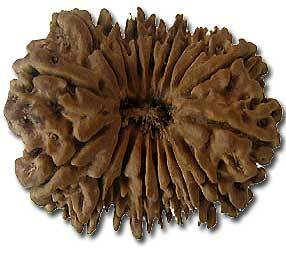 This Rudraksha helps in Ayurveda, chemical process, cloths etc. This Rudraksha gives all kind of Bhoga ( comforts and leisure) to the wearer. It removes all kind of sins and in the end liberate the wearer in the end of life. 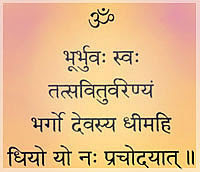 It helps in attaining all kind of attainments. Recommended to be worn on chest as a necklace , on forehead on third eye region or on right arm.